Founded in Austria in 1997, bwin used to be known as “betandwin”, but the company changed the name in 2006. During the 2000s, the bookmaker was considered to be one of the largest online sports betting provider in the world. The company is registered in Gibraltar and operates with licenses from Gibraltar and the UK. In addition, bwin is registered on the London Stock Exchange. Nowadays, bwin boasts more than 10 million customers all over the world. Many punters know the bwin brand and this bwin review will give you an outline of the key aspects of this sportsbook. Besides the bwin Welcome Offer, we will examine the sports portfolio, live-betting, the variety of payment methods and the general respectability. Register at bwin and get a 100% deposit match of up to 10 GBP. Place an accumulator of at least three legs and get the chance of winning over £800 in free bets every week. Predict the exact time of the first goal of three selected matches and win up to 100,000 GBP. Get more predictions for each 10 GBP bet on sports at minimum odds of 7/10. Cash out allows you to settle your bet before the event you are betting on is over! The online betting company bwin is originally Austrian, but it now has headquarters in Vienna, Stockholm and Gibraltar. The company merged with PartyGaming in 2011 and was then purchased by GVC Holdings plc in 2016. The company began with sports betting and then went on to introduce online gaming and casino platforms, as well as soft games and multi-player poker. 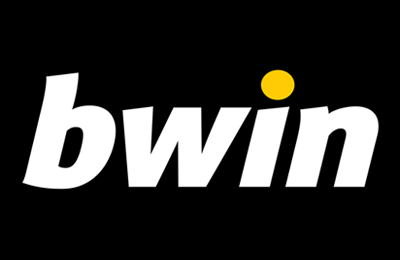 Formerly known as “betandwin”, the “bwin” brand was launched in 2006 since this name represented better the range of features. Our bwin review discovered that sponsoring is very important for bwin. Actually, they have had long partnerships with many sports teams such as Real Madrid, Juventus Turin and Manchester United, as well as the Portuguese football league. The bookmaker has not been active only in the world of football but has also been associated with motor sport, basketball and tennis. At the moment, bwin has a staff of around 1,500 employees internationally. As far as the bwin new customer bonus is concerned, during our bwin review, the bookmaker was offering a 100% deposit match of up to 10 GBP. The bonus offer is only valid for customers residing in the UK who register for the first time at bwin. The minimum deposit is 10 GBP. Nevertheless, to receive the full 10 GBP bonus amount, your first deposit must amount to 10 GBP. This first deposit must be made within 30 days of registration. Please note that the following payment methods are eligible: Instant Banking, VISA Diners Club, Maestro, MasterCard, Qiwi, Bank Transfer, Wire, e-Wire, PayPal and Instant Bank. As soon as your first deposit is carried out, your 100% match bonus will be credited to your betting account and you can bet with it. However, you will only be able to withdraw the funds once you fulfil the wagering requirements. Your bonus funds must be wagered five (5) times on sports markets with odds of 1.7 or above. The time limit to meet those requirements is 90 days. There is no bwin bonus code for this welcome offer. The conditions of the bwin bonus offer for new customers is not very complicated. However, to make sure that you can take advantage of the full 20 GBP, our bwin review has written up some simple instructions. Step 1 – Registration: Go to the bwin website and click on the yellow “Register now!” button at the top right. Fill in your personal details, including a password and username for your betting account. Step 2 – Making a deposit: Select a payment method. Make your first deposit of at least £10 (£20 to get the full 100% deposit match). The following payment options are eligible for the bonus offer: Instant Banking, VISA Diners Club, Maestro, MasterCard, Qiwi, Bank Transfer, Wire, e-Wire, PayPal and Instant Bank. You have 30 days to do this. Step 3 – Fulfil the wagering requirements: Your bonus amount is credited immediately. Wager the funds 5 x at odds of 1.7 or greater on any sports markets. You have 90 days to do this. Step 4 – Withdraw your winnings: Once the wagering requirements have been fulfilled, your funds can be withdrawn. In addition to this welcome offer, bwin has a variety of ongoing promotions for existing customers as well, hence ensuring customer loyalty according to our bwin review. One of these offers is called “ACCA Madness”. If you place ACCAs of three selections or more, wagering a minimum of £5 at odds of 4/1, you have the chance of winning over £800 in free bets every week. The top 10 players per day will receive a £10 free bet, but you can even win all ten bets if you are lucky. More T&Cs apply. The “Predictor” offer lets you use a free prediction. You must predict the exact time of the first goal of three matches that are selected. You can get more predictions for each £10 bet on sports at minimum odds of 7/10. If your prediction is correct, you can obtain up to £100,000! What bwin offers in the live centre is also quite impressive. There is an extensive range of sports and the design itself is pleasant and user-friendly. You can see directly how the odds are changing due to live ratings. The in-play betting programme includes football, tennis, basketball, ice-hockey, table tennis, volleyball and badminton among others. All sports events are equipped with numerous options for betting. What is more, live streaming is provided by bwin, although not usually for football highlights due to broadcasting rights in the different countries. The bwin betting odds are often described as average since the odds key is at about 93%. These might not be the highest odds on the market, but our bwin review finds them quite stable. In addition, these odds apply to almost any sport of the portfolio. This offers newcomers to betting or hobby punters a certain regularity and security since there are hardly any differences for outsiders or favourites. The international bookmaker with Austrian roots is among the leaders of the online sports betting industry. Our bwin review can truly conclude that the sports selection here is among the best. The betting offer is extensive and the betting odds are stable. The bwin welcome bonus might not be overly generous, but the wagering requirements are simple to understand for any new punter. A large selection of payment options also suggests that financial institutions trust the bookie. In any case, twenty years of experience in the betting business are enough to prove that this online betting provider is serious and respectable. What is more, bwin is licensed in both Gibraltar and the UK. The customer service is excellent and available in many languages. Although some might say that the odds could be higher, overall the bookmaker makes a very good impression and is an ideal place for recreational punters to spend time (and money) at. The selection of method payments at bwin is large, ranging from debit and credit cards to e-wallets (even PayPal!). ClickandBuy, Click2Pay and Paysafecard are also offered as payment methods. For all deposit options in the UK, bwin does not charge any fees according to our bwin review. The minimum deposit amount is £10 for most options (£5 for PayPal) and the funds are usually transferred to your betting account immediately. However, bank transfers may take up to a week. Step 1 – Go to the banking section of your account: Log in, go the “Cashier” section and select “Deposit”. Step 2 – Select the desired payment method: Choose the deposit option you prefer. Enter the amount (min. £10 in most cases). Fill in any other necessary details. Step 3 – Transact: Confirm your transaction. Your deposit should be made within a few minutes in most cases. As is common in the betting industry, you will probably have to identify yourself before a payout can be carried out. This is only to ensure that the money goes to the right person, so this is also in your interest. The majority of options for depositing are also offered for withdrawals. Once again, no fees are charged by bwin here. The minimum amount that can be withdrawn is £10. The processing time ranges from one day for e-wallets up to 5 business days for credit cards and bank transfers. Offering a good and competent customer service is crucial for any bookmaker. At bwin, you are in good hands. Our bwin review experienced the rapidity and competence of the live chat function, which is available 24/7. Within seconds our questions were replied to. Furthermore, you can call the bwin support by dialling +442039380862. In this case, the customer service can be reached from 10 am to 10 pm, 7 days a week. Alternatively, you can write a message by using the e-mail contact form available in the “Contact” section. Response time is generally quick. Bwin offers a multilingual website and customer service. According to our bwin review, the bookmaker has almost 70,000 followers on Twitter (@bwin) and tweets about ongoing matches, current promotions and general sports news almost every hour. On the other hand, there is almost no activity on the Facebook page of the sportsbook, even though it has around 750,000 followers there. In addition, bwin is present on YouTube with about 81,000 subscribers. Reliable or scam: How safe is bwin? There is no doubt for our bwin review that this online betting provider is a safe place for punters. The provider of the UK website is ElectraWorks Ltd, which is licensed by the Government of Gibraltar under the Gambling Act of 2005. In addition, the company is licensed by the UK Gambling Commission for the operation of remote gambling in Britain. If that was not enough, the sportsbook is well-known as a football sponsor of prestigious teams, such as Real Madrid and Bayern Munich. You can be sure that such renowned team verify the respectability of a sponsor before entering a partnership. What is more, bwin is committed to Responsible Gambling and informs customers about the dangers of gambling addiction and has set up some tools to avoid it. You need not fear for the security of your sensitive data at this bookmaker. Bwin is regularly reviewed by eCOGRA and works with iTechLabs. How do is my bwin account verified? Your account information, such as name, address, age, and other details, is validated during the verification process. Those details can be verified online by bwin as long as the information provided is correct. b’friends is the easiest way for you to tell your friends about bwin and earn rewards at the same time. Your own personal link is generated by bwin and then you can choose how you wish to share it. By clicking on the link, any friend of yours that has not registered at bwin yet can do so, make a deposit and both of you will start earning rewards. What are bwin free bets? Free bets are offered by bwin from time to time according to our bwin review. This is one of the many promotions for existing customers. The free bet will automatically appear on your screen when you log into your bwin account. These free bets can be used on any sports markets and, of course, T&cs apply for each particular offer. Is there a mobile version of bwin? Yes, there is. In fact, there is an optimised mobile site for viewing and using in the following mobile operating systems and browsers: Apple iOS v5.1 and higher, Safari, Chrome, Mercury, Dolphin as well as Android 4.1 and higher. What team does bwin sponsor? Over the last 20 years, bwin has sponsored (and still sponsors in some cases) many renowned football teams (Real Madrid, AC Milan, Bayern Munich and Olympique de Marseille) and has had partnerships with Manchester United, Juventus and Werder Bremen.